CurrencyFair is a pioneer in the person-to-person currency exchange field that offers quick international money transfers, and excellent rates (better than those of forex brokers and banks). Customers coming from Top10moneytransfer.com get their first three transfers for free. CurrencyFair has processed approx. €6 billion worth of transfers to date and customers have saved an impressive €153 million in finance fees, service fees, and related expenses using its services. Much like several of its competitors, CurrencyFair started as a way for expats to transfer money to/from their home countries in a cheap and easy way. CurrencyFair, founded in 2009, is one of the fastest-growing companies in Ireland and has been awarded multiple prestigious awards over the years, including the Most Insightful and Intriguing Internet Innovation (IIA Die IE Visionary Awards) and the Best of Show Award at FinovateAsia in Singapore. Create your free account and set up your transfer details including the amount, currency and the recipient. Send your money to CurrencyFair by bank transfer. CurrencyFair receives your money, exchanges it at the best available rate and transfer to the recipient as soon as they can. The user verification process for the initial sign-up is carried out according to the “eKYC” standard, meaning it is completely digital, pre-empting the need for any paper document turnover. Opening a CurrencyFair account is completely free of charge. Transactions are typically processed within 24 to 72 hours. Users can also transfer money on the go: CurrencyFair’s system is fully functional on mobile devices running Android or iOS. The fees CurrencyFair charges are far less than those charged by FX brokerages and banks. A typical bank may charge you a $30 fee on a $5,000 transfer, while CurrencyFair charges you just €3 for transferring the same amount. Using CurrencyFair will save you about 90% on transfer fees compared to when using a bank transfer. The average fee for a currency exchange is 0.35% of the transfer sum, starting at a minimum amount of €3. It is possible for the user to wait for the best exchange rate. On average, you pay just 0.4% above the interbank rate (the exchange rate Google shows) of the amount exchanged, which is considered to be very low. CurrencyFair allows you to send money from your bank account to CurrencyFair’s account by means of a bank transfer, Irish debit cards, and Irish credit cards. It is 100% free to transfer money to your account at CurrencyFair, but the authorizing bank may levy fees on these transfers. *Charges may occasionally be applied by a third party bank when transferring the funds to CurrencyFair or before the funds arrive in the recipient account. For example, if Jessica, who is currently working in London, wants to send her Berlin-based parents money as a Christmas gift, she has two options to go about it: the “classic” option using a regular bank transfer, or the alternative option using CurrencyFair. The simple way would be going to your bank and initiate a bank transfer from your current account. In this case, Jessica will need to set an appointment at Barclays where she is banked, provide the ID, and sign a bunch of papers to start the transaction. Depending on the transfer details Barclays Bank may charge you anything from £15 to £40 as a transaction fee for international transfers and their exchange rate for GBP-EUR is 1.07. This way, a few business days after, Jessica’s parents will see their account is topped by roughly €10,733 out of £10,000 sent by their daughter. Alternatively, you can use a transfer service, such as CurrencyFair. Account opening is free and online, so Jessica won’t need to be distracted from her work and leave her office: after registration and an online quick authorization, her account will be up and running in no time, with her current Barclays bank account connected. CurrencyFair offers a way better deal with only a £3 fixed transaction fee and a fair mid-market GBP-EUR exchange rate of 1.10. Within 48 hours on average, & same £10,000 sent by Jessica, her parents will receive approximately €11,041, which is about €307,40 more than via a bank. As you see in this example, using the fair mid-market range (close to the exchange rate found on Google) in combination with low fixed rates may change the final transfer amount completely. Processing times vary from currency to currency and from country to country. In some cases, they may also depend on your bank since the only way to fund a transfer via CurrencyFair is by bank transfer. It is quickest to send or transfer funds in the morning, as most banks use an early afternoon cut-off time, which means transfers made after that time will only be processed the following day. CurrencyFair offers its customers an average transaction processing time of 1-2 business days. 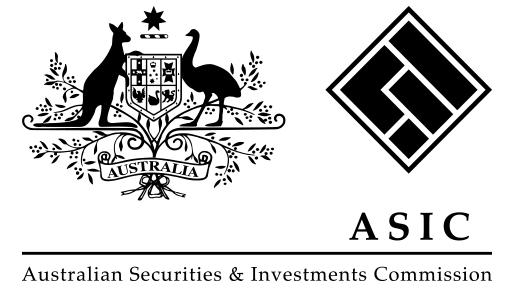 CurrencyFair is fully licensed and regulated by the Australian Securities and Investments Commission (ASIC) and the AFS (Australian Financial Services). CurrencyFair is also regulated by the Central Bank of Ireland. CurrencyFair Ltd is a CAR (Corporate Authorised Representative) of CurrencyFair Australia Pty Ltd., which in turn is regulated by the ASIC. Benefits of the strict regulations CurrencyFair has to live up to, include the fact that clients are fully protected due to the use of segregated accounts. 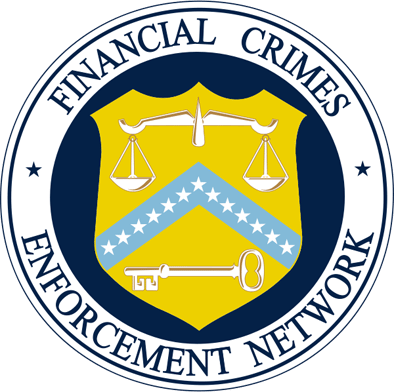 The company also has to meet minimum capital requirements, needs to be fully compliant with financial crimes reporting, and have the requirement to utilize loss minimization systems. Anguilla, Aruba, Australia, Austria, Belgium, Bulgaria, Canada, Croatia, Curacao, Cyprus, Czech Republic, Denmark, Estonia, Faroe Islands, Finland, France, French Guiana, French Polynesia, Germany, Gibraltar, Greece, Greenland, Guadeloupe, Hong Kong, Hungary, Iceland, Ireland, Isle of Man, Italy, Latvia, Liechtenstein, Lithuania, Luxembourg, Malta, Martinique, Mayotte, Netherlands, Netherlands Antilles, New Caledonia, New Zealand, Norway, Poland, Portugal, Reunion, Romania, Saint Barthelemy, Saint Helena, Saint Martin (FR), Saint Pierre and Miquelon, San Marino, Sint Maarten (NL), Slovakia, Slovenia, South Africa, Spain, Svalbard and Jan Mayen, Sweden, Switzerland, United Arab Emirates, United Kingdom, Wallis and Futuna. Once you are registered and approved, you can start transferring funds to over 160 countries and locations. Users can choose to view the CurrencyFair website in English, French, or German. Since only €3 is charged at the initial stage of the transaction, it is a cost-effective way for freelancers to receive money, online sellers to get paid, or SMBs to transfer payments to employees or suppliers. CurrencyFair doesn’t accept deposits in the form of cash money, cheques or bank drafts. All deposits must be made via bank transfer or an Irish debit card. Whether paying suppliers, employees, or contractors from abroad, receiving payments from international clients and invoicing them in their local currency, setting up recurring transactions for regular transfers, or controlling the overseas cash flow between branches — CurrencyFair is there to support your needs. You can potentially get the same great deal on every single transaction. The absence of first-time offers and broker deals, the low-cost fees for businesses of all sizes, and the transparent margin rates should generally help you save on business transactions. All client funds are kept in segregated accounts by tier 1 international banks, meaning your money is guaranteed the highest level of security. Users interested in using CurrencyFair for business need to set up a business account, which also comes free of charge. The information you will be prompted to provide will depend on your company type and country of incorporation. Just like banks and other financial institutions, CurrencyFair must follow anti-money laundering guidelines and regulations. To fully activate your account, CurrencyFair must verify your identity. In order for them to do this, you may need to submit a copy of your passport and/ or driver’s license, along with proof of address. You can do this electronically, using the information you provide during the registration process, especially if you enter your passport number. If they are able to identify and verify you electronically, your account will be activated immediately. You will receive an email confirmation of the account activation and you will be able to exchange money straight away. The best part is that you can contact CurrencyFair directly from any the FAQs in the Support Centre. The company’s contact details can easily be found on the site, and the contact page also includes a contact form to get in touch with Customer Support. This form includes a disclaimer, which reads: “One of our support staff will respond to your query within approximately 24 hours”, which is an indication of the absence of live support. CurrencyFair also does not offer customer support over the phone. CurrencyFair offers many attractive options to SMBs, freelancers, and expats wanting to send/ receive money from abroad. The low fees and short transfer times make the service highly attractive. You can send, receive and withdraw your funds directly to your bank account without further requirements. The pricing policy and the solid regulation make this service a good solution to consider.